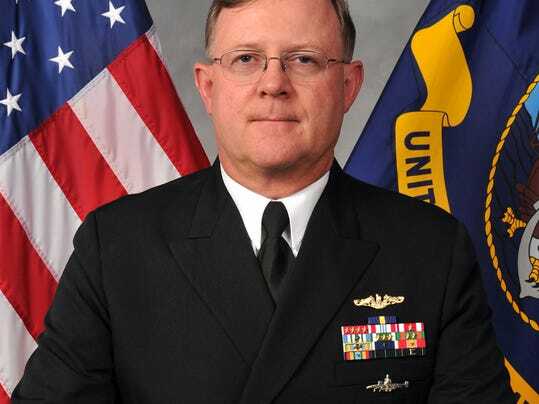 Admiral in the Navy accused of counterfeiting chips in an Iowa casino. This might seem like a big thing to accuse someone of, and it might seem to make matters worse when we say the accused is a Navy Admiral – someone you should look up too, someone that cares for the country and for the businesses within it, but the truth is that he may have been a part of the scam that costed a casino millions and halted games throughout the entire casino floor. The Admiral denied that he made these chips, stating that he had no part in making them or handing them out. It was stated that he used an adhesive sticker on the chips to show which ones were on the table, allowing those playing to easily take the chip over and cash it in for a higher amount than what it is actually worth. In addition, even with his claims that he did not help with this, his DNA still remains on the evidence according to emails that were sent back and forth. The fake chip was found in the Horseshoe Casino in Counsel Bluffs, Iowa. These were the chips that are later going to be held up in court through the Navy, since this was a Navy operation, to show who was the culprit when it came to doing such a thing. Tapes have been confiscated from the casino to see if there were any moves that could tie him to the falsified chips that were used during game play. This is not the first time that something like this has happened in a casino, and we are sure it will not be the last but when the perpetrators are able to easily be caught, this can provide the casino with an idea of what to look for when someone tries to falsify cards or even chips that are used in game play for their own selfish reasons. As of right now, we are awaiting the trial date. As we continue to get more information on the subject, we will make sure to keep you updated. Make sure to check back frequently on Casino Directory to learn more about this developing story.